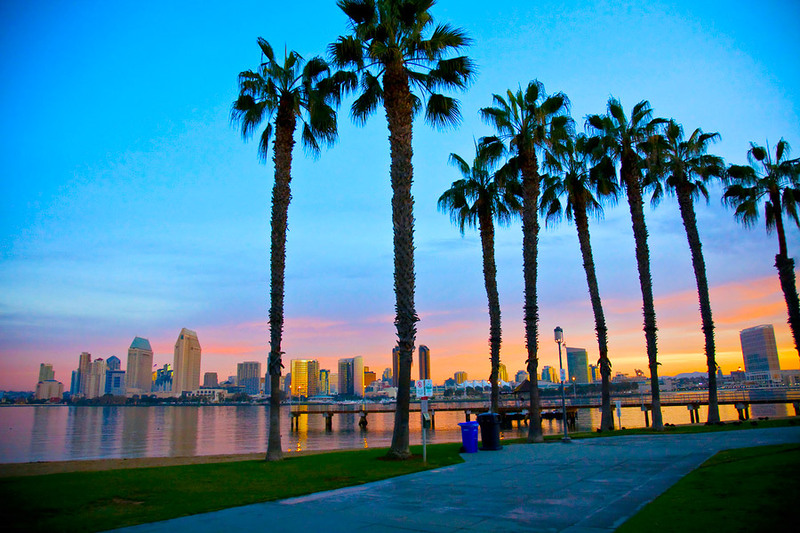 San Diego, CA August 13, 2015 – Nascent Biotech, Inc. (“Nascent Biotech, Inc.” or “the Company”) (OTC.NBIO). Since March of 2014 Nascent has raised $2.1 million which has been used to advance the development of their core product, Pritumumab, to support the filing of an Investigational New Drug exemption (IND). Pritumumab is a fully human monoclonal antibody being developed initially for the treatment of malignant and non malignant Gliomas. One of the biggest challenges in the development of any antibody product is to show that it can be manufactured, at appropriate scale, to clinical grade and in sufficient quantity for human trials. We have attained this goal and manufactured more than enough product to complete our initial Phase 1/Phase 2 human trials on Brain Cancers, with more than adequate amounts left over to initiate trials in other epithelial cancers such as breast, lung, colon and pancreas. Pritumumab is unique in its ability to react strongly with all these major malignancies. An additional challenge is to understand the toxicity profile. We have completed a toxicology study, in compliance with FDA guidance, and we have demonstrated no in life toxicities in the two species studied (Monkey and Rat). Another significant milestone worth noting is that the FDA granted Nascent Biotech an Orphan Drug Designation for Gliomas (brain cancer). “This will give us market exclusivity for a period of 7 years after the drug is approved,” says Nascent President Sean Carrick. Statements in this press release about our future expectations constitute “forward-looking statements” within the meaning of Section 27A of the Securities Act of 1933, Section 21E of the Securities Exchange Act of 1934, and as that term is defined in the Private Litigation Reform Act of 1995. Such forward-looking statements involve risks and uncertainties and are subject to change at any time, and our actual results could differ materially from expected results. These risks and uncertainties include, without limitation, Nascent Biotech Inc’s ability to target the medical professionals; Nascent Biotech Inc’s ability to raise capital; as well as other risks. Additional information about these and other factors may be described in the Nascent Biotech Inc’s Form 10, filed on October 28, 2014, and future filings with the Securities and Exchange Commission. The Company undertakes no obligation to update or release any revisions to these forward-looking statements to reflect events or circumstances after the date of this statement or to reflect the occurrence of unanticipated events, except as required by law. In the interview, Mr. Carrick details that Nascent Biotech’s primary asset, Pritumumab, binds to a very unique target found in epithelial cancers and that they are first focusing on the underserved Brain Cancer patient population. He further explains that it has the potential to be a platform therapy. $2.1 million raised since March 2014 which has been used to advance the development of the Pritumumab. Manufacturing to clinical grade product in sufficient quantity for trials-with more than enough to conduct trials in other cancers such as colon and pancreas. Completion of toxicology study under FDA guidance providing understanding of the toxic profile. Orphan Drug Designation for brain cancer. This will give us market exclusivity for a period of 7 years after the drug is approved. 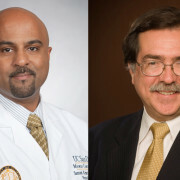 Dr. Santosh Kesari is the director of the Neuro-Oncology Program, director of the Neurotoxicity Treatment Center, director of the Translational Neuro-Oncology Laboratories at Moores Cancer Center and a Professor of Neurosciences at the University Of California San Diego School Of Medicine. Dr. Kesari will be the Principal Clinical Investigator in charge of the Phase I/II human clinical trials in brain cancer for its lead therapeutic monoclonal antibody product Pritumumab. Dr. Eric F. Glassy is Board certified in Anatomic and Clinical Pathology with a specific interest in Hematopathology, Information Pathology and Digital Pathology as well as being the Medical Director at Pathology Inc. Dr. Glassy is a world recognized Pathologist who has served in several leadership positions in the College of American Pathologists and is a past board member of the CAP Foundation. Dr. Eric Glassy has also authored several publications in his fields of interest and has written and edited key textbooks in the field of pathology. Dr. Eric Glassy’s immunohistology work has confirmed and extended the specificity and comparability of the Pritumumab database. Nascent Biotech’s Senior Management Team is honored to have Dr. Santosh Kesari and Dr. Eric Glassy as part of their Advisory board. 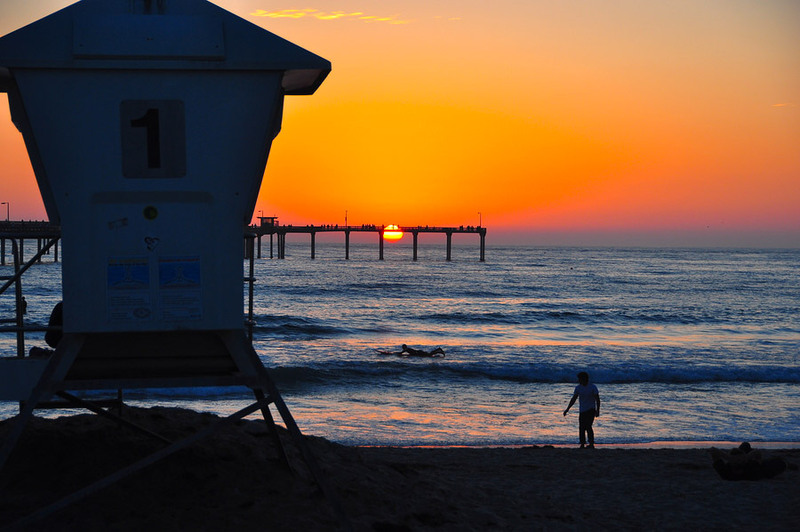 San Diego, CA, April 9th, 2015 – Nascent Biotech, Inc., (OTC.NBIO) is pleased to announce that it has been granted Orphan Drug Designation from the Office of Orphan Products Development of the FDA (Click here for link) for its Pritumumab product for the treatment of brain cancer. According to Industry statistics, there are approximately 8,000 new cases of domestic brain cancer annually with few viable treatment options. San Diego, CA, February 26th, 2015 – Nascent Biotech, Inc. (OTC: NBIO) and Mapp Biopharmaceutical announced today they have been awarded a $225,000 Small Business Innovative Research (SBIR) grant, titled “Novel Immunotherapy for Brain Cancer,” to fund initial development of tobacco plants as an adjunct expression system for Nascent Biotech’s lead candidate biopharmaceutical, Pritumumab, a monoclonal antibody for the treatment of brain cancer. This grant is a collaboration between Nascent Biotech and Mapp Biopharmaceutical, a technology leader in plant-based manufacturing of monoclonal antibodies. “Mapp is delighted to partner with Nascent Biotech in developing a very promising cancer therapy antibody. The opportunity to make a cost effective treatment accessible to all emerging market countries, is compelling” says Dr. Kevin Whaley, Mapp CEO. San Diego, CA, Nascent Biotech Inc (NBIO: OTC) announced today that it has recently closed a non-brokered private placement round for aggregate gross proceeds of $1.2Million. Management raised funds and the use of Proceeds will be for developing antibodies used to treat cancer; including manufacturing, preparation for human clinical trials, general working capital and administration. Nascent Biotech is building a portfolio of innovative therapeutic antibodies, poised at various stages of development, ranging from laboratory to the eve of clinical trials. Nascent Biotech is using and developing natural human antibodies and responses obtained from the innate natural human immune response as a drug discovery platform for identifying new antibodies and antigens for commercialization. Issued on behalf of the Board of Directors of Nascent Biotech Inc.
SOMERSET, NJ, and SAN DIEGO, CA – April 16, 2012 — Nascent Biologics, Inc. and Catalent Pharma Solutions today announced the signing of a product development agreement. Under the terms of the agreement, Catalent will engineer a cell line expressing Nascent’s proprietary “Pritumumab” antibody using Catalent’s GPExÒ technology, and will subsequently produce purified monoclonal antibody to support Nascent’s Phase I/II human clinical trials with Pritumumab for treatment of an unmet clinical need—treatment of brain cancers, such as astrocytomas and glioblastomas. GPExÒ technology is used to generate mammalian cells with high yields and stability, which will help speed the drug to clinic. “We are delighted to be part of a program that will not only validate our GPEx technology as a leading system for the manufacture of biologic products, but will also aid in significantly improving the treatment outcomes for such a serious and untreatable disease,” said Kent Payne, Vice President and General Manager of Catalent’s Biologics business. Glioblastoma, a form of brain cancer from which Senator Edward Kennedy recently succumbed, afflicts 10,000 Americans each year, with a one-year survival rate of 50% and a five-year survival rate of just 3%. There is currently no effective treatment for this disease. In previous clinical trials with Pritumumab, five-year survival rates of brain cancer patients were about 9-fold higher, at 27%. Nascent wishes to confirm and validate the earlier clinical trial data and move forward into Phase III and subsequent registration of the product. From drug and biologic development services to delivery technologies to supply solutions, Catalent Pharma Solutions has the deepest expertise, the broadest offerings and the most unique technologies in the industry. With over 75 years of experience, Catalent helps customers get more molecules to market faster, enhance product performance, and provide superior, reliable manufacturing and packaging solutions. Catalent employs approximately 9,400 people at 29 facilities worldwide and in fiscal year 2011 generated more than $1.6 billion in annual revenue. Catalent is headquartered in Somerset, NJ. For more information, visit www.catalent.com. Nascent Biologics is an early-stage biopharmaceutical company that is developing two proprietary platform technologies, MultiPharmTM and UberkineTM, under the clinical premise that the most effective way to treat disease is to modulate (boost or suppress) the human body’s natural ability to generate an immune response. Pritumumab is the first in a series of treatments for a variety of cancers and auto-immune diseases. SAN DIEGO – Mark Glassy, PhD, Chief Executive Officer and Co-founder of Nascent Biologics, Inc., (NBI), scientific researcher and inventor, announced today that he has recovered the license on his invention, “Pritumumab,” the first human antibody that has been used to treat cancer patients, after a 27 year absence in Japan. Dr. Glassy invented Pritumumab, also known as CLNHII, CLNIgG and ACAII in the scientific community in 1982, while he was a faculty member at the University of California San Diego (UCSD) working as an Assistant Research Immunologist, Department of Medicine, Division of Hematology/Oncology. Shortly after he invented the antibody, it was taken by a visiting member of the faculty from Japan, who took it back to his country, had it licensed and used the antibody to treat a relative with cancer. Mark was told by the legal department at UCSD that there was no recourse available to retrieve the antibody since the Japanese party had already secured a license for the antibody from the University. During the past 27 years in Japan, data has shown that approximately 250 brain cancer patients have been treated with Pritumumab. The response rate of this antibody is remarkable with an approx 30% response (after 5 years the survival rate of brain cancer is about 3%). In December, 2008, Mark was able to retrieve the license, and NBI finalized the license agreement with the Japanese scientist for Pritumumab in July 2009, returning it to the hands of the inventor and the United States, whereby numerous cancer patients will be treated for various types of cancer, including colon, brain, and pancreatic with a high rate of success. “I am beyond pleased that we now own the license to Pritumumab, and know it will be beneficial in treating many victims of cancer in the United States,” Dr. Glassy remarked. NBI will have Pritumumab manufactured for further clinical trials in the US under the sponsorship of the FDA and expects to begin these trials during late 2010. Pending satisfactory results NBI will then begin to market the antibody internationally for the treatment of other cancers such as colon, pancreatic, and breast cancers. Nascent Biologics, cancer’s newest emeny, is a biotechnology company specializing in the commercialization of cytokine biology. Its mission is to nanoengineer molecular motors that will drive and boost the immune response.